Juilliard Juniors had its second event of the year, Jammin' With Jazz, in December. For more about these and other alumni events, please contact Rebecca Vaccarelli at (212) 799-5000, ext. 344, or alumni@juilliard.edu. For information about these and other membership events, contact Matt Herbek at (212) 799-5000, ext. 278, or patronsdesk@juilliard.edu. 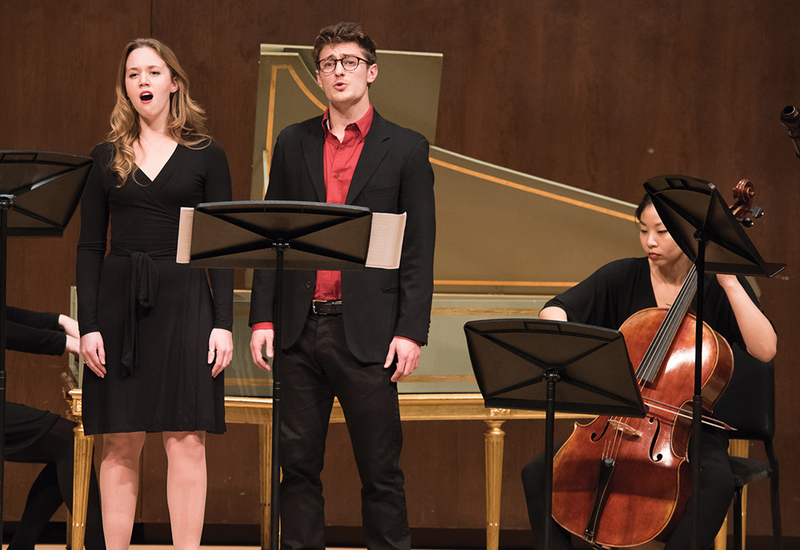 Members toasted the holidays at a party that featured performance vignettes from each division, among them soprano Angela Vallone and countertenor Jakub Józef Orlinski singing a duet from Handel's Theodora. 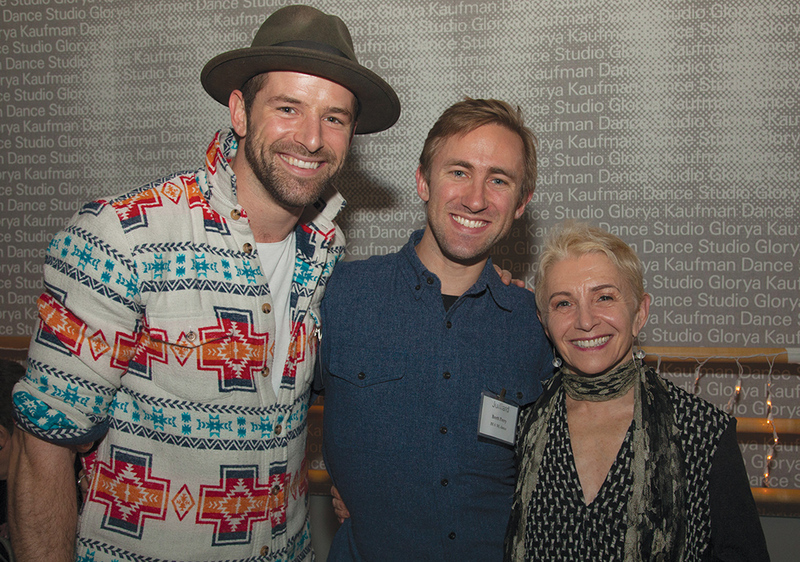 Dance alums Collin Baja and Brett Perry with faculty member and alum Risa Steinberg at the alumni holiday party. Juilliard Club members ($500+) are invited to attend this popular evening of cabaret-style musical theater featuring the third-year actors plus a private reception beforehand. Get together with other drama alums before the fourth-year performance of The Serpent Woman, directed by Orlando Pabotoy (Group 27). Ovation Society members are invited to a behind-the-scenes look at this spring's Juilliard Dances Repertory program. It will include performance excerpts and a panel discussion moderated by Lawrence Rhodes, artistic director of the Dance Division, and be followed by a private reception. All alums are welcome to this gathering before the evening's Juilliard Dances Repertory concert. Keep an eye out for information about get-togethers in Northern and Southern California.